Following my life as I try to become a "real" writer. Description (from IMDb): After a simple jewelry heist goes terribly wrong, the surviving criminals begin to suspect that one of them is a police informant. You may want to get yourself in the mood with this song. Press Play before reading the review. 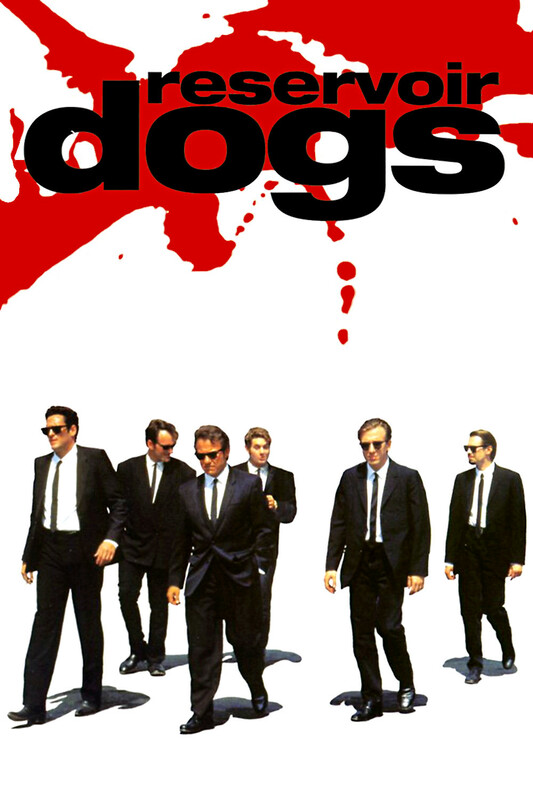 Okay, so I didn’t realize Reservoir Dogs was another Quentin Tarantino film until I hit ‘play’ on Netflix. Serves me right for not doing my research, huh? But actually, I enjoyed Reservoir Dogs more than Kill Bill, which surprised me. You’d think I’d be all about a movie which was all about the bad-assness of strong ladies, rather than a movie that was all about the weakness and craziness of stupid men, but in the end, the gore and fight scenes in Kill Bill were just a hair worse than those in Reservoir Dogs. That’s not to say there wasn’t gore or fight scenes in RD. In fact, I almost turned the movie off during the infamous torture scene because it was AWFUL – I literally thought I was going to puke if Mr. Blonde set the cop on fire. But, Tarantino reigned himself in little bit. There wasn’t blood spurting everywhere and the torture scene was at least interesting for being broken up with the music and dance number (in the gif above) and the long shot where Mr. Blonde walked out to his car and then back inside. I was just telling some friends of my mistake in watching a second Tarantino film for this project and realized I had to admit that I respect him as a filmmaker. He is original and takes risks and uses music really well, I just don’t particularly care for the stories he tells. Also of note, there is not a single female speaking role in this movie. It was his first movie, and as I said above, he did go on to showcase really awesome female characters in future movies, so while it irks me, I’m not going to hold it too much against him. rachelhamm on Chick Lit Rocks! Chick Lit Rocks + Gi… on Chick Lit Rocks! isisthe12th on Chick Lit Rocks!